I have lost track of just how many solar panel and battery pack reviews we’ve completed in the last few years, and given how rapidly this technology advances, I assume this won’t be the last. Although we have evaluated some rather large systems, it seems most consumers are interested in smaller solutions for charging the myriad of handheld devices we’ve come to depend on in our daily lives. This usually includes phones, tablets, GPS devices, and now things like electronic wearables and even drone batteries. 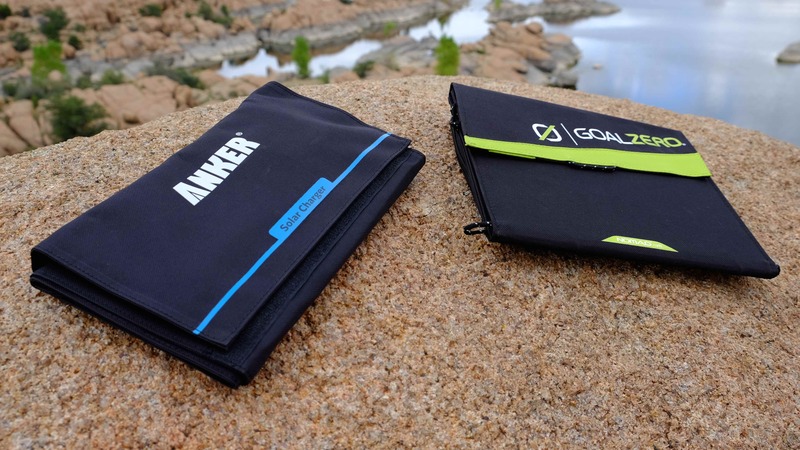 With that in mind, I set out to test two popular products, one from Goal Zero and one from Anker. This comprehensive system contains three primary components. 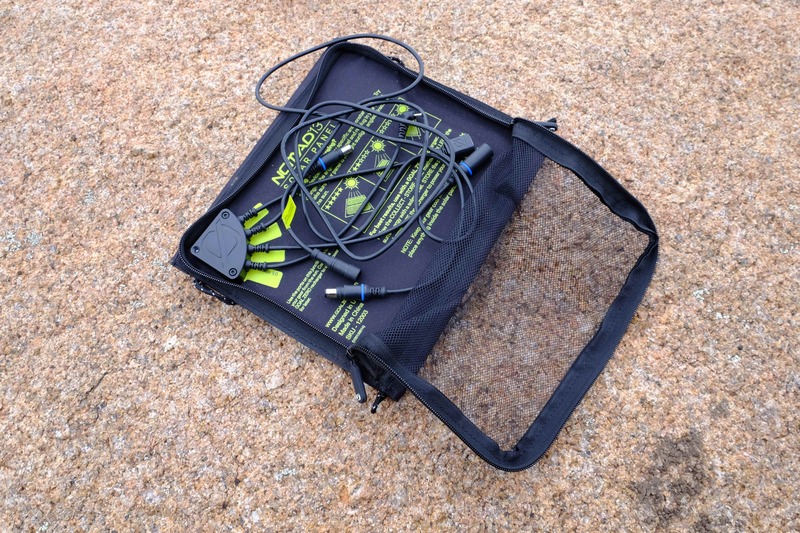 At the heart of the kit is the Sherpa 50 power pack with 5200mAh of power provided by a Li-NMC battery pack. 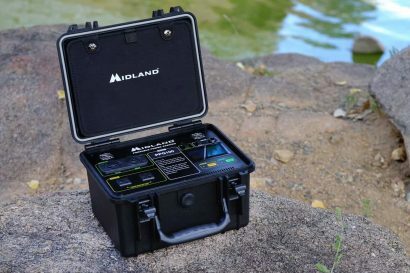 This versatile unit has a multitude of output ports including a 5V USB port, 12V laptop port, and a 12V output to power most small accessories. There is a large LCD screen which displays charge levels, and even an LED light for nighttime use. Adding to the power pack’s utility is the add-on 110V AC output inverter. 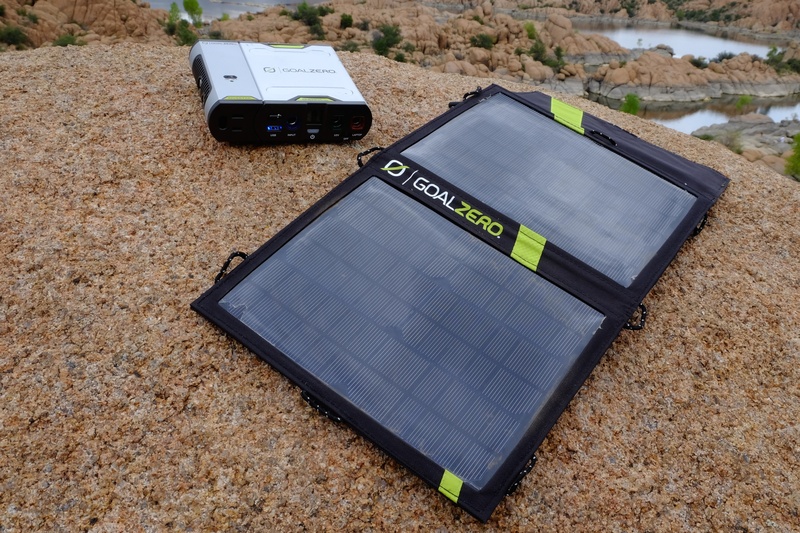 To facilitate the recharge of the power pack, the Sherpa 50 is paired to Goal Zero’s own Nomad 13 solar panel. That 13W panel uses two separate panels which employ Monocystalline cells to generate power. 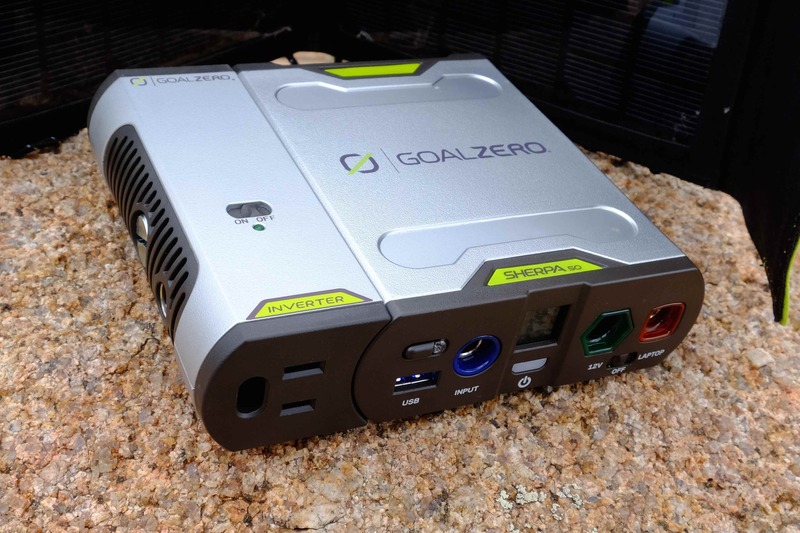 Output options include a 12V plug which connects to the Sherpa 50, but also includes output plugs for USB, Goal Zero’s own Guide 10 power pack, and there’s an additional plug which can be used to chain multiple solar panels together for maximum power generation. A relative newcomer to the segment, Anker has quickly become one of our favorite brands. I have used their power packs to keep my devices charged while in the interior of Iceland and in the remote corners of the Rockies and they’ve never let me down. Anker’s claim to fame is their ability to cram huge amounts of power in tiny packages and the E7 raises that bar ever higher. With a whopping 25600mAh of juice on tap, this is an incredible power source. Although it doesn’t have the variety of output ports that the Sherpa 50 has, most users only require USB outputs and the E7 has three of them. With Anker’s PowerIQ amp-adjustment technology, it can identify which device it is attached to for optimal charging efficiency. The E7 is not only extremely compact at only 6.5 x 3.1 x 1 inches, it weighs in at just a hair over a pound. I would go so far as to call it pocket-size if you have a slightly bigger pocket than usual. I tend to like the clean aesthetic of the outer case as it slips easily into pouches and pockets for easy transport. 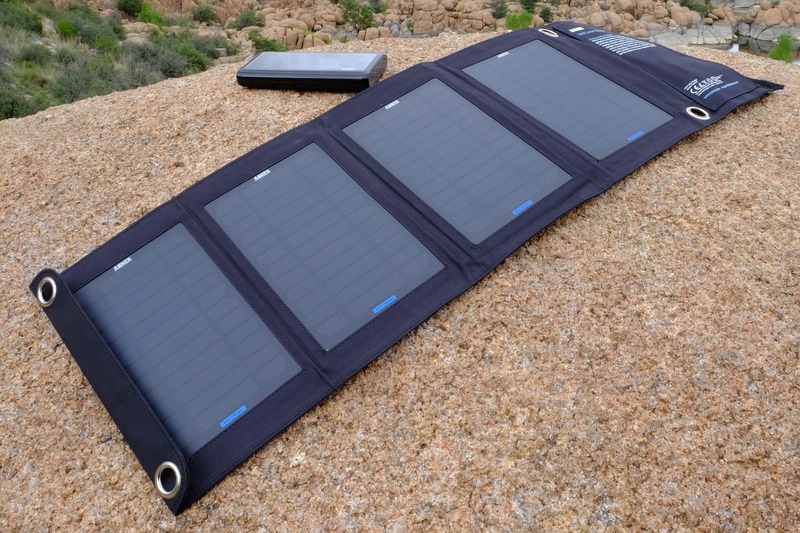 The 14W solar panel has four individual sections mounted to a heavy-duty nylon backing. The dual USB output ports also feature Anker’s PowerIQ technology for fast and smart charging. At 11 x 7 inches when folded, it is slightly smaller than Goal Zero’s 13W Nomad, but not by enough to be a distinct advantage. The 27 ounce weight is respectable and close enough to that of the Nomad to be a wash. The question most consumers want to know is: How much power can I squeeze out of these things? 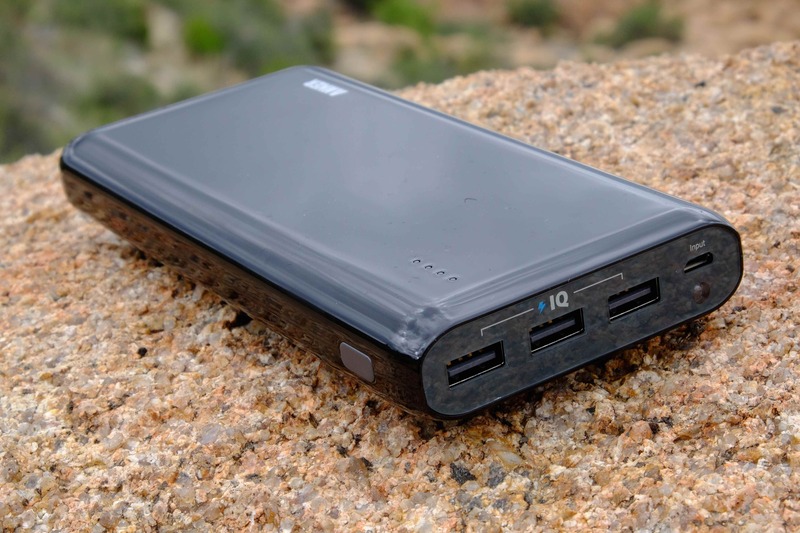 Goal Zero claims the Sherpa 50 will charge most smartphones up to 7 times. This shouldn’t be a lofty goal for most compact chargers, but the Sherpa 50 failed to hit that digit no matter how many times I conducted that test. Whether charging iPhones or Android devices, the best I could ever coax out of the Sherpa 50 was 5-6 charges. This was starting with phones powered down to between 5% and never more than 10%. 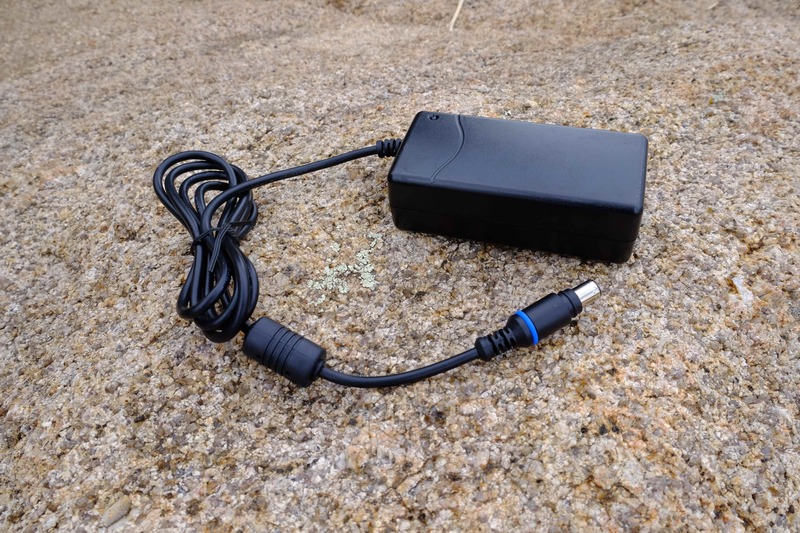 On the upshot, the Sherpa 50 itself could be charged via the 110V wall charger in as little as three hours. Unfortunately, that wall charger is massive and a hassle to carry around. With the included Nomad 13 panel in good sun, I could get to full charge in as little as 9 hours, but the average over the course of several months was between 12 and 15 hours. This in the summer sun of Arizona. 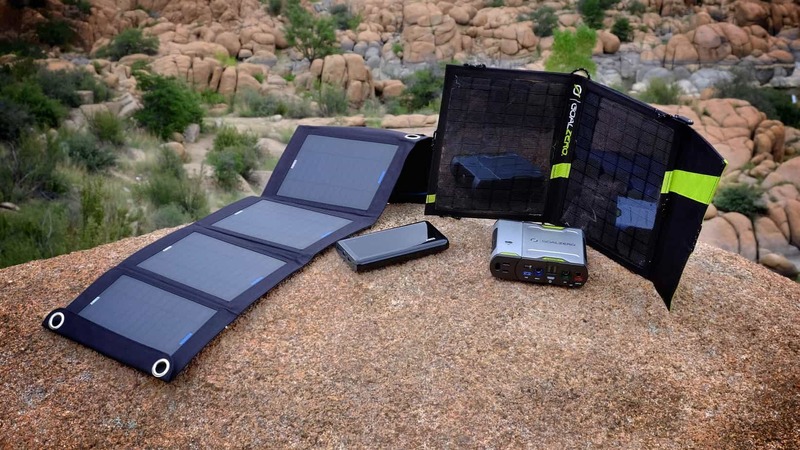 That may sound like a lot of time, and it is, but it is respectable performance within this category of solar kits. I anticipated big performance out of the little E7, and it delivered on my expectations. After testing a variety of smartphones, I was able to consistently get up to 10 charges out of the E7. What was even more impressive was my ability to charge my iPad Mini more than two times. 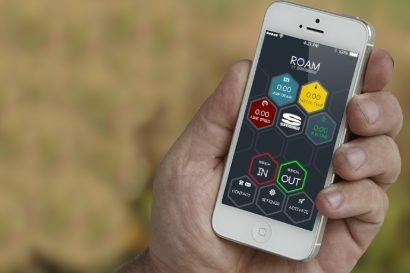 As is often the case, I found myself in a situation whereby my phone, tablet and Delorme inReach device were all nearly dead. I plugged all three devices into the E7 and had them powered up to full charge in less than 120 minutes. As power packs go, the E7, as is true for all Anker power packs, provides fast charges again and again. I like the versatility of the Sherpa 50, particularly with the inclusion of the 110V inverter. The time to charge the Sherpa 50 via the wall charger or solar panel is impressively quick. Charge times were swift when charging my various devices. The size to power ratio is unparalleled. I liked the ability to charge three USB powered devices at once with minimal loss in charge speed. The clean design is ideal for travel and allows the unit to fit into small pockets and pouches. I like that the E7 comes with a small padded carrying case. The price is unbeatable. The average Amazon price for the E7 with the 14W panel is under $90.00. That’s less than a quarter of the asking price of the Goal Zero system. 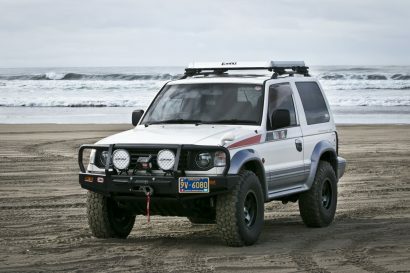 The Sherpa 50 is on the big side and clocks in at a pound and a half with the inverter attached. I expect more power out of a power pack of this size and certainly at $250 with the inverter. As a Mac user, the 12V laptop port is only slightly more useless to me than the 12V accessory port. I can’t get over the expense of this combination. $400 is a lot of cheese for a humble charging solution. The AC charging block for the Sherpa 50 is huge and adds to the overall bulk of the combination. When traveling with the 50 and it’s charger, I feel like I should expect more stored power than I’m getting in return. The Sherpa’s charging block is too big for my liking. Because of its big power, it takes an eternity to charge the E7. If using a standard smartphone USB charging plug to import power, it can take 28 hours to fully charge the E7. A higher output tablet charging block (for tablets, etc) reduced that to 14 hours. Using the 14W solar panel, it took over 32 hours to get the E7 fully charged. That turned out to be a three day affair. It’s almost better to use the solar panel as a stand alone solution and charge devices directly from the panel. The Anker solar panel seemed to require more direct sunlight than the Goal Zero panel which meant it required more frequent repositioning. Not that I would want to, but I could geek out on testing these two systems for another several weeks, but it wouldn’t change my verdict. I prefer the Anker system, but with a catch. Given its small size and huge reserves of power, I like the E7 over the Goal Zero Sherpa 50. I also only use a solar panel as an infrequently used backup, so shucking out $150 for the Nomad 13 kinda stinks. The Anker panel is more than enough to fit the needs of most consumers, including mine, and at $60 it’s a screaming deal. The only thing that has me on the fence with the Goal Zero unit is the ability to integrate it with other Goal Zero power packs and solar panels. I just wonder how many people are really inclined to do so. 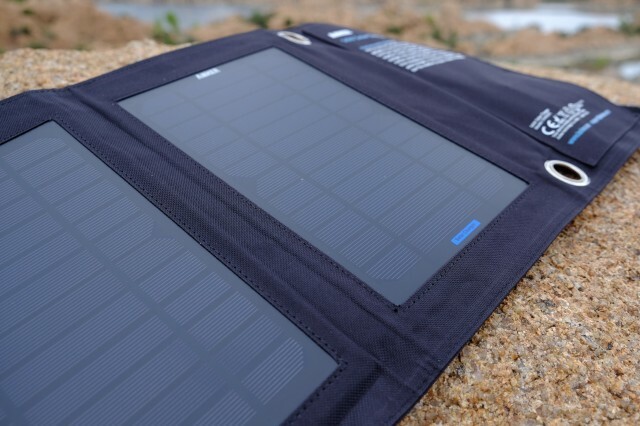 At any rate, If I were to make a recommendation to a consumer, I’d either buy the Anker E7 and solar panel if you genuinely feel you will need to make power, or better yet buy two E7 units for less than the price of the Sherpa 50 and stick all that power in your pocket.